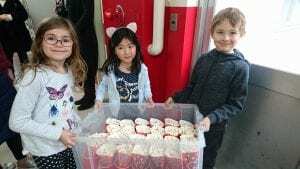 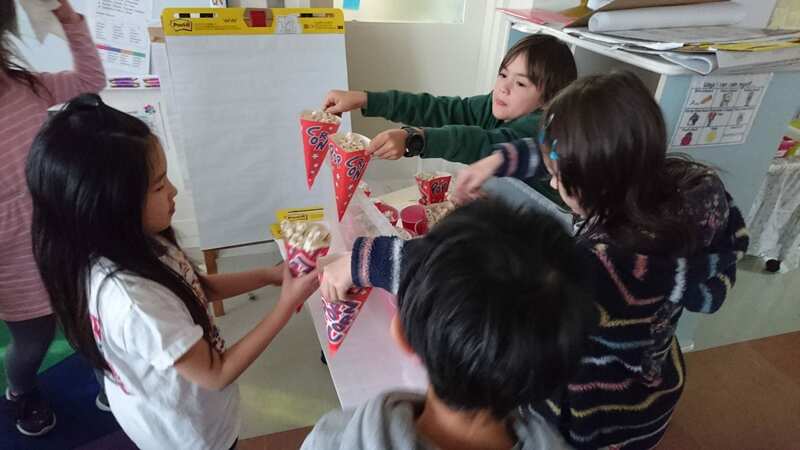 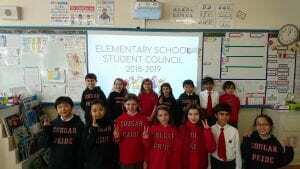 Elementary School Student Council | making Saint Maur "More" Awesome! 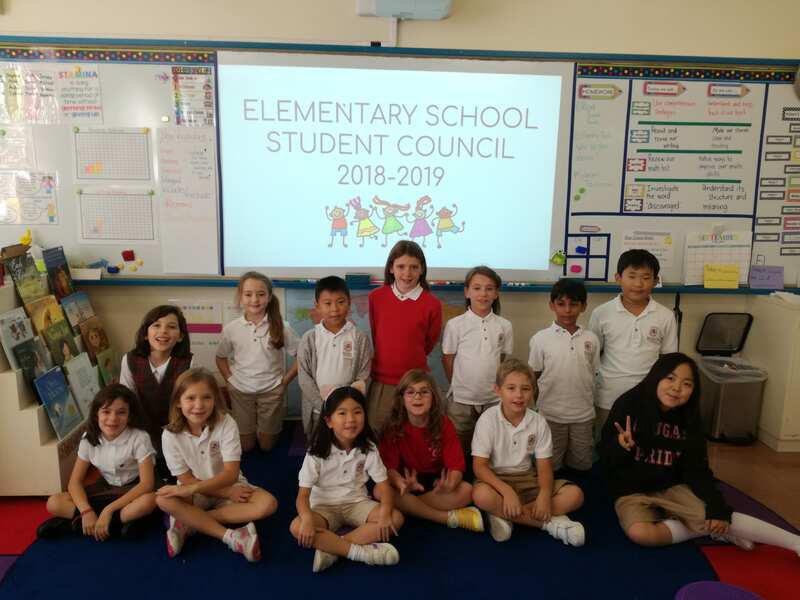 *In the new year, we welcomed new reps from FS1-2 and 2S class. 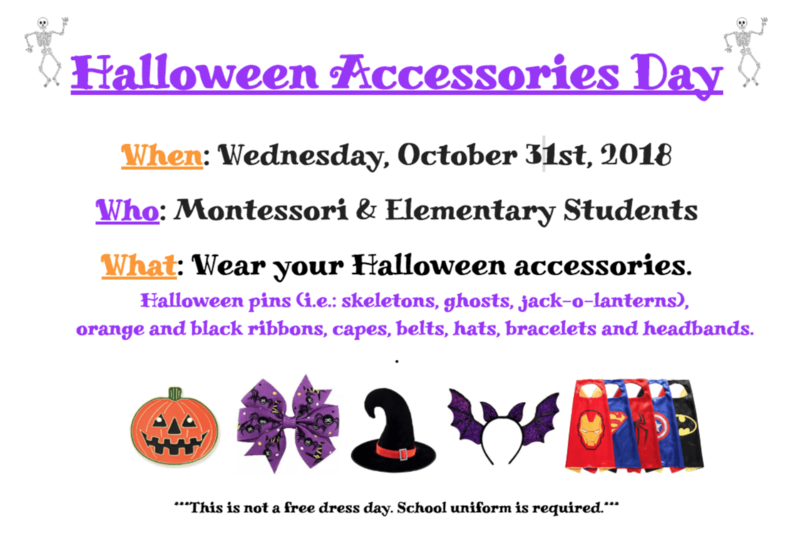 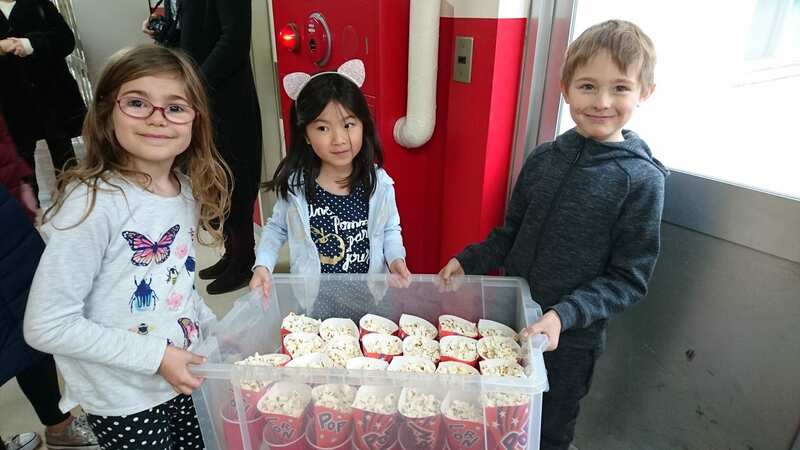 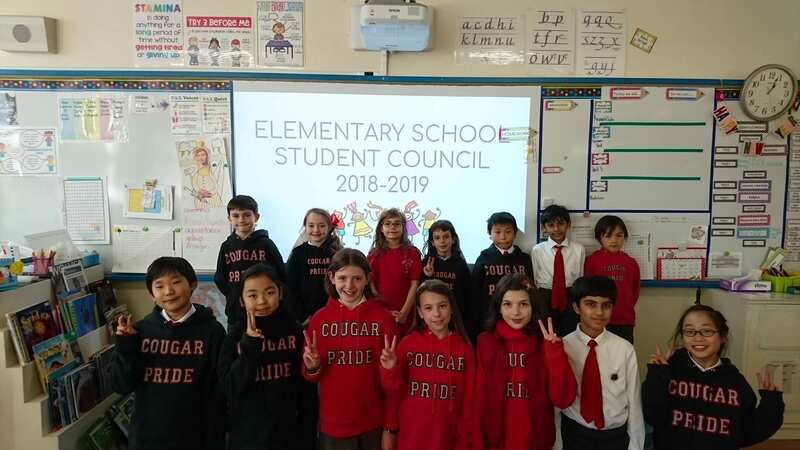 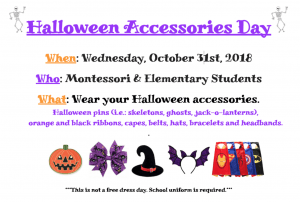 Elementary School Student Council is proud to present…. 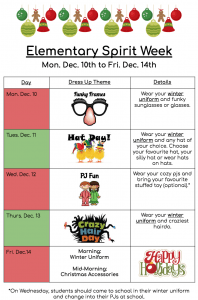 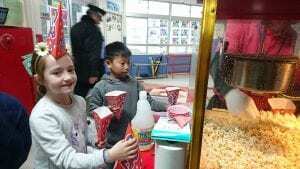 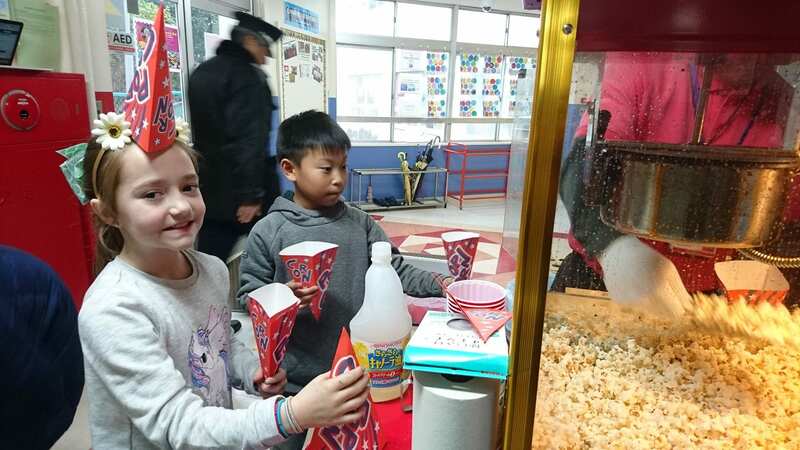 Looking forward to a fun-filled last week of school before the Winter holidays! 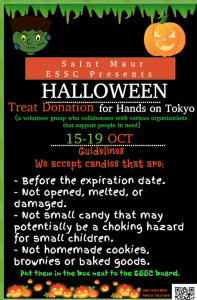 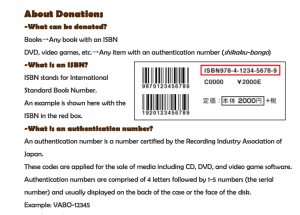 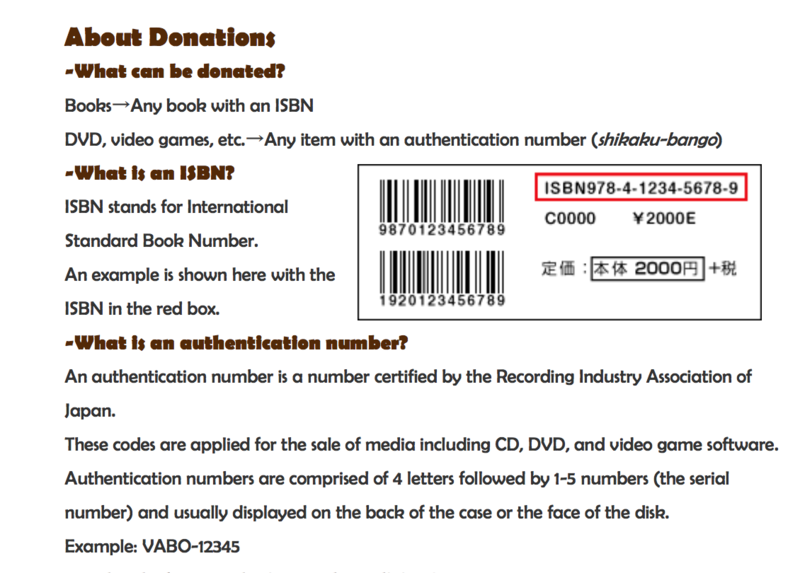 Next week please donate candy/treats for an organization called Hands on Tokyo. 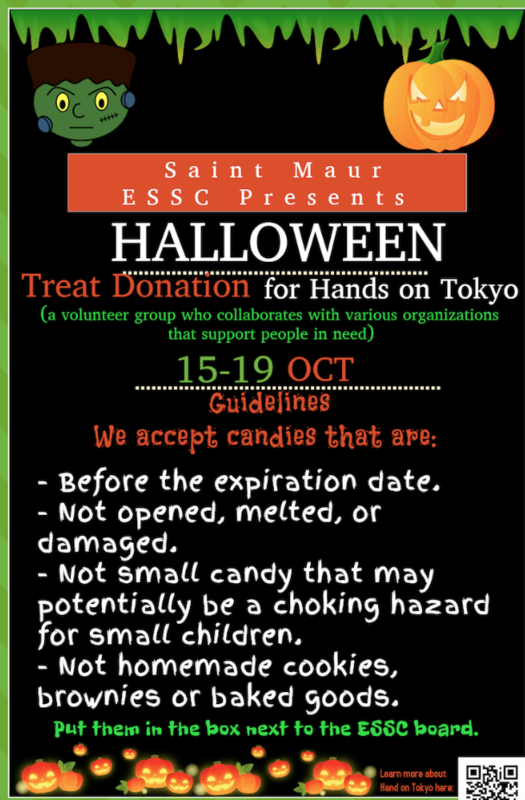 Place the treats in the box next to the ESSC bulletin board. Welcoming … your new Elementary School Student Council! 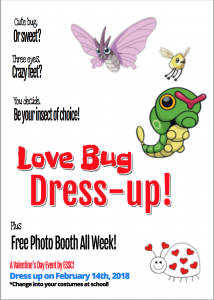 “Love bug” or LOVE bugs? 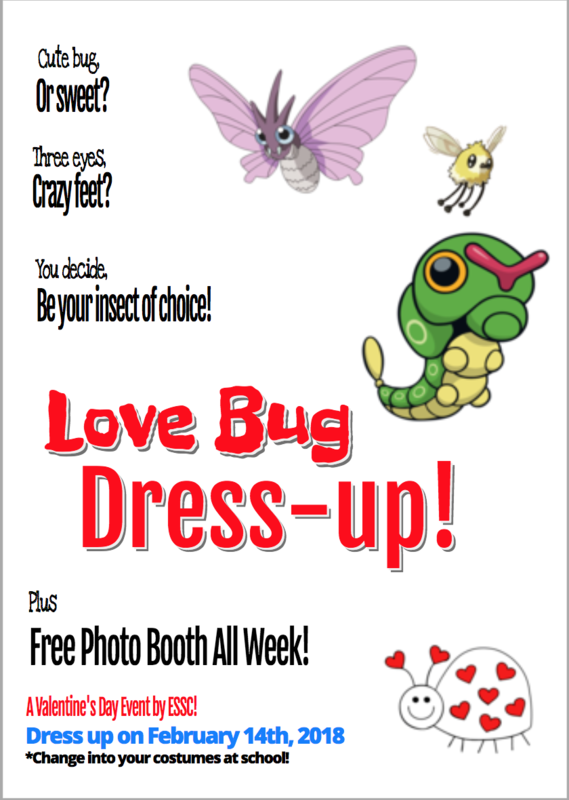 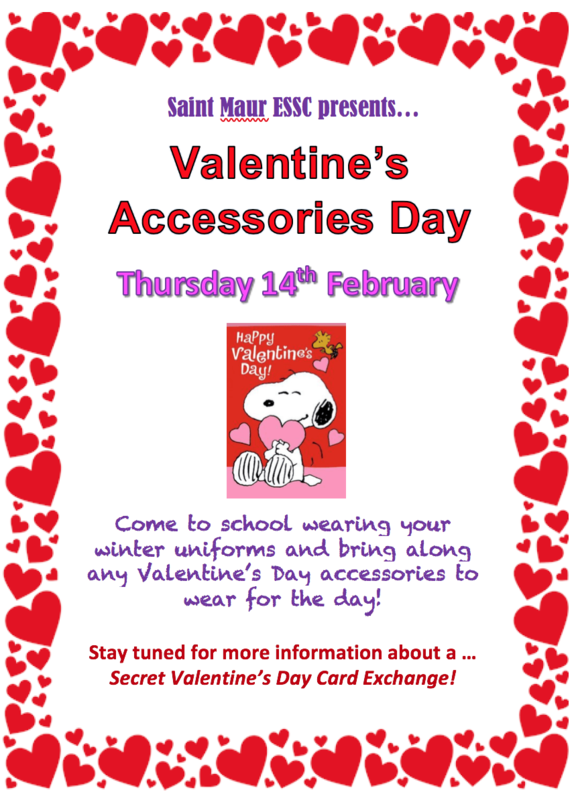 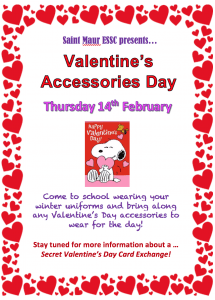 Join our Valentine’s Day dress up day and check out our photo booth! 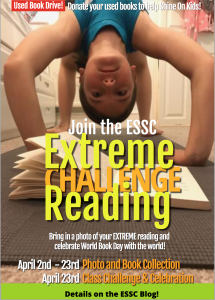 ESSC wishes you a Happy New Year!